Welcome to the featuring tasty eats and treats from some of the top casinos around the region. This years’ guide highlights from restaurants, bars and lounges that you should definitely add to your itinerary on your next casino adventure. Get ready to grab your fork and chow down on some of the tastiest casino grub around. Treasure Island Resort & Casino offers an array of entertainment to pair with their top quality gaming action. For a fine dining experience, be sure to ignite your appetite with fine wine and fine dining including locally sourced 1881 Hereford Beef, seafood and bison specialty dishes. A customer favorite is the Signature Hereford Porterhouse which is a 24oz bone-in steak cooked just for you. For more of a casual affair, Tradewinds Buffet doesn’t disappoint. Choose from nine different buffet and with options that include rotisserie chicken, freshly made pizza, crepes, gelato, stir fry stations and the ever popular signature seafood buffet every Thursday. The property also offers quick and casual dining options with Currents Restaurant for breakfast, lunch and dinner as well as Mongo Bay Grill, an all-hours diner with quick, grab-and-go items like hot dogs, burgers, pizza, cookies, fries, onion rings, cheese curds, breakfast pastries and even freshly made omelets, we’ll get you in and out and back in the game fast. Other Outlets: With six bars and lounges located throughout the property, every night is a good night at Treasure Island. Don’t miss the Cabana Bar offering exciting specialty brews, Rare Bar located within Tado Steakhouse, Barefoot Bar located in The Lagoon offering a swim up bar for adults located in The Lagoon, Emerald Bay Lounge, Barracudas Bar and Bongos Bar located in the middle of our action packed gaming floor. Plus, the Spirit of the Water is the properties 100-passenger cruise liner that offers tours down the Mississippi River while guests can enjoy breakfast, lunch or dinner options. Greektown Casino-Hotel is AAA Four Diamond hotel property located in Detroit’s historic Greektown district. The property offers a wide variety of dining and entertainment offerings that make for a well-rounded casino visit. 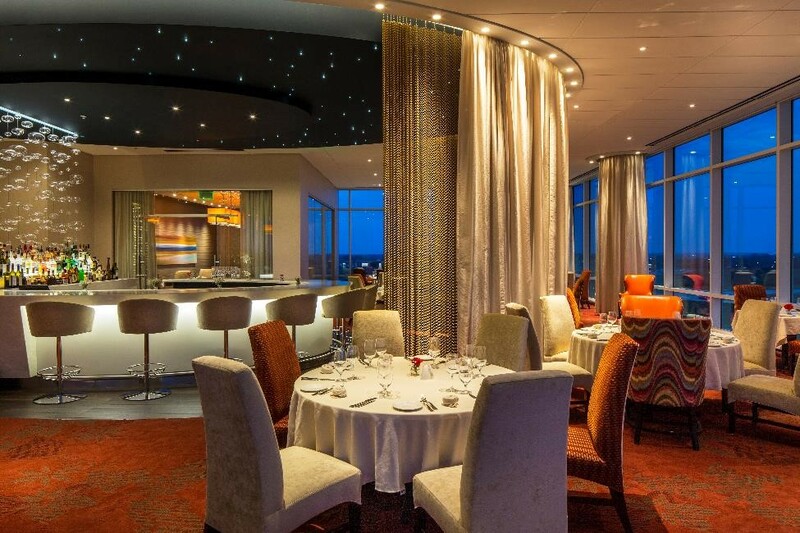 Their signature fine dining restaurant, PRISM, offers scenic views of the city and serves mouth-watering cuts of Angus beef, the freshest seafood, and Italian specialties and pasta. More casual options can be found at Monroe Market offering six distinct eateries in a contemporary space reminiscent of a dynamic street market. Noodle Art serves up traditional Japanese ramen with a Detroit twist. There is something for everyone at Bistro 555, which features a classic breakfast and lunch buffet. Casual Cocktails: Bluff Bar and Rock Bar & Lounge are both video poker bars that are worth checking out. If you’re feeling traditional, go to Fringe for the sports bar atmosphere, and Trappers Bar for some ice-cold craft beer! Other outlets: Synergy Table Games is an interactive arena-style gaming space that combines electronic table games, live dealer games, interconnected play, live-DJs, pulsating lights and music, social interaction and giant video displays. At JACK Cleveland Casino there is something for everyone. At Seven Chefs Buffet, guests can enjoy it all with specialty cuisine ranging from Italian to BBQ, and freshly made desserts. Those looking for a quick and delicious bite can enjoy STACK’D, serving handcrafted burgers, specialty sandwiches, and all-day breakfast. Also be sure to check out the build your own burger option or try the signature Moto burger, featuring a Jalapeno-infused burger with pepper jack cheese and siracha mayo. Another sure bet is Nonna Pazza where you will find made-to-order pasta and flat bread, featuring homemade sauces from the kitchen. Casual Cocktails: Rock Bar and Lounge has electronic gaming and TVs for guests to kick back and relax, or check out Legends Bar for a high-energy vibe that is located right off the casino floor. If you’re looking for a more classic lounge, head over to Vintage 51 for premium cocktails and mingling. Rhythm City Casino Resort is located in beautiful Davenport, Iowa and offers dining options that are out of this world delicious! The premium dining option, Ruthie’s Steak & Seafood, is located on the top floor of the property and offers lavish views of the Iowa landscape through the ‘wall of windows’. You can’t go wrong with the steak selection but don’t underestimate the duck, lamb or lobster mac entrées! And, no steakhouse is complete without an extensive wine list, and Ruthies has one of the best in the Quad Cities. More causal options include Robert’s Buffet, where guests will enjoy multiple food stations to satisfy any appetite. Serving high-quality ingredients and prepared in-house by Chef D’Cuisine, Richard, and his team, you know you are in for a treat on every visit. Crowd favorites include the prime rib, omelet bar and house-made gelato in 12 rotating flavors. 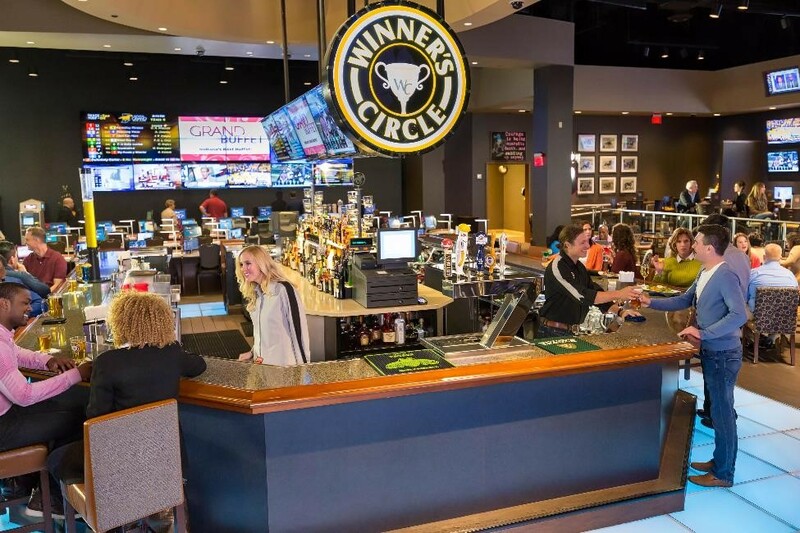 Also enjoy a great selection of brews and pub food at Draft Day where you will find a 360-degree screen and 18 television screens to take in your favorite sporting events. 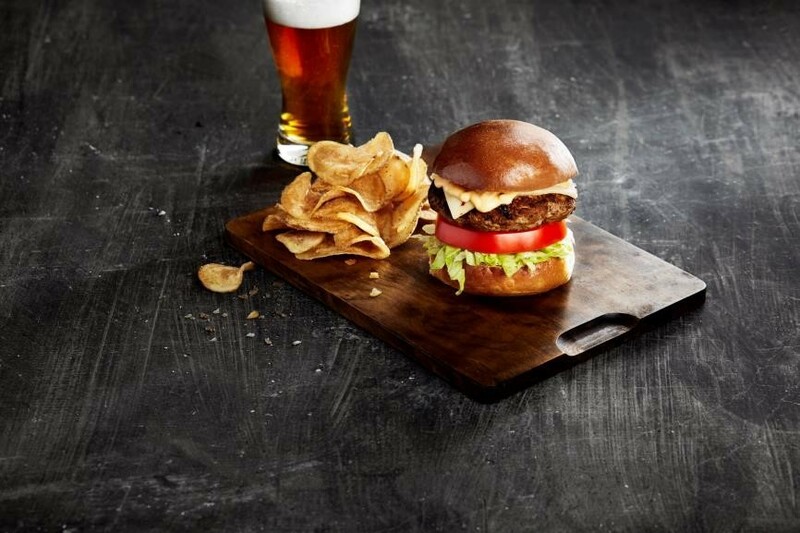 Popular menu items include the lettuce wraps, pork nachos, pork sliders and a selection of burgers. Island Resort & Casino is home to six delicious dining experiences to satisfy any craving. 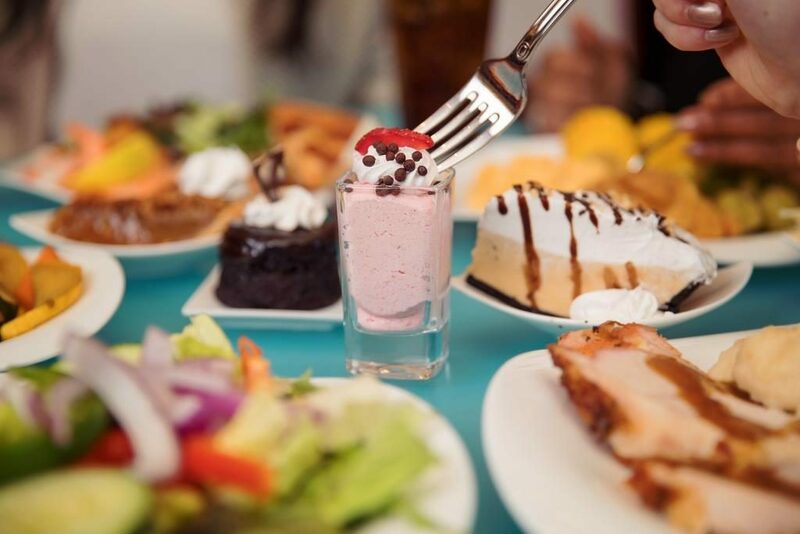 Whether you are looking for premier steak and seafood, a quick and casual bite or something to satisfy your sweet tooth, you are sure to find it here. Enjoy fine dining at 5 Bridges Steak & Seafood House or more casual dining at 5 Bridges Pub featuring 18 drafts and over 30 bottled beers to compliment a menu with plenty of variety. 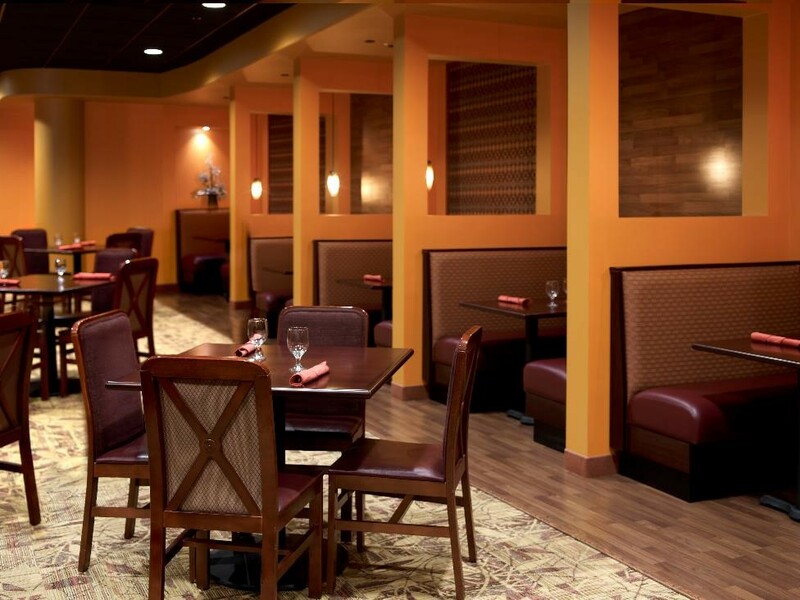 More casual dining can be found at Firekeeper’s Restaurant specializing in Midwest cuisine, or T. McC’s Sports Bar where you can watch your favorite games on your own personal viewing and audio area, or on any of the over 30 screens! Morning are also easy at the Island with the Coffee & Custard Shop, Coral Reef Grille and Firekeeper’s Restaurant. We are always excited to showcase the best casino restaurants throughout the region. Whether it is a casual oyster bar, or a premium steakhouse with a vast wine selection, we have found some sure bets when it comes to dining on your next casino adventure. Be sure to carve out some time to check a few of these great selections out! Who’s hungry? We are excited to unveil some of the top casinos and their culinary offerings in this year’s Casino Dining Guide. 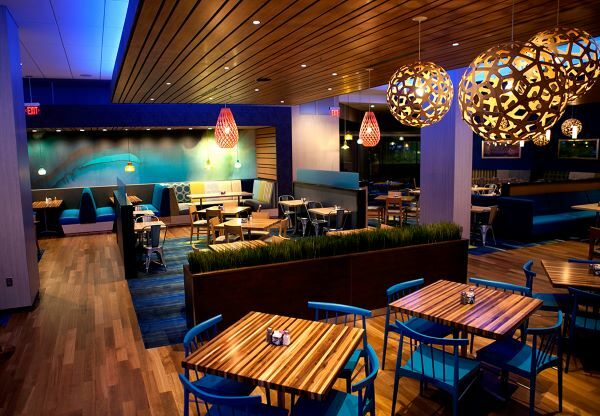 If you aren’t carving out time to check out your favorite casinos dining options, you are missing the boat! Whether you are celebrating something special and go to the white table cloth, fine dining steakhouse, or want something more casual, we have listed some of our top picks for your consideration and think you’ll enjoy them as much as we do! Sep 19, 2016 | Features Articles, Gaming News, In this Issue, Restaraunt Reviews, What's it Like? When it comes to cocktails, just about anything goes. Whether you are in the mood for a classic drink like a Manhattan or a Gin and Tonic, or want something more evolved like a Margarita or Whiskey Sour, it is likely that you will find what you are looking for at your favorite casino. We are excited to highlight some of our favorite cocktails from casinos around the country, and the friendly smiles that might be serving them!